Students around New England participated in a national school walkout this past Wednesday, calling on Congress to pass stricter gun control laws. 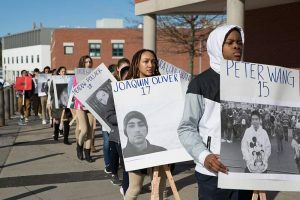 We look at efforts to keep students safe, through state models for gun control reforms, and Connecticut’s efforts to increase school security. Plus, we visit New Englanders touched by immigration: one New Hampshire man who is being deported, and a Rhode Island man who is in training to become a Customs and Border Protection officer. A month after 17 people were killed in Marjory Stoneman Douglas High School in Parkland, Flordia students across the country walked out of classrooms to protest gun laws. While these groups are calling for stricter gun control regulations nationally, some states are taking action into their own hands. 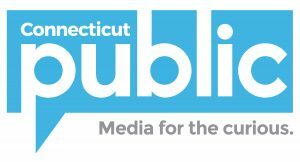 WBUR’s Anthony Brooks reports that states should use Connecticut’s gun control success as a model for future reforms. While the effort has prioritized student safety, Connecticut has spent over $50 million on school security since 2013. But WNPR’s David DesRoches reports that private schools may be getting preferential treatment. One New Hampshire woman, Ageth Okeny, is trying to get her son help as he faces deportation. 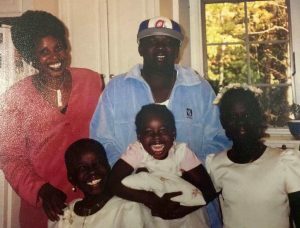 She brought her four kids, including her son, Haitham Bol, to America after fleeing war in Sudan eighteen years ago. Now Haitham has been told by ICE officers that he will be sent to South Sudan, a war-torn country that he has never visited. NHPR’s Robert Garrova tells the story of Ageth and Haitham. Meanwhile, WBUR’s Shannon Dooling traveled Brunswick, Georgia to a facility that trains U.S. Customs and Border Protection officers (CBP), including a 26-year-old from Rhode Island. Around the world, demand for one of New England’s most famous commodities, maple syrup, is growing. But due to the increase in demand, investors are traveling to Vermont to get into the syrup business, creating tension between price and production. VPR’s Lorne Matalon reports on how outside investors are affecting Vermont’s maple syrup industry. 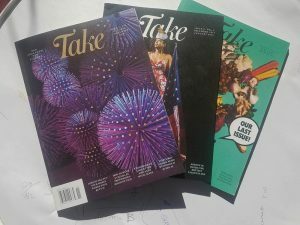 The last three issues of Take Magazine. Take Magazine‘s tagline is “New England’s New Culture”. Instead of focusing on traditional New England images, like lighthouses, lobsters, and Plymouth Rock, the magazine cataloged New England’s art scene. Despite their unique mission, the magazine has just released its final issue (archived issues are still available online). We revisit a conversation with the magazine’s publisher, Michael Kusek, on where New England has been, and what direction it is moving towards. We appreciate your feedback! Send critiques, suggestions, questions, and ideas to next@wnpr.org.